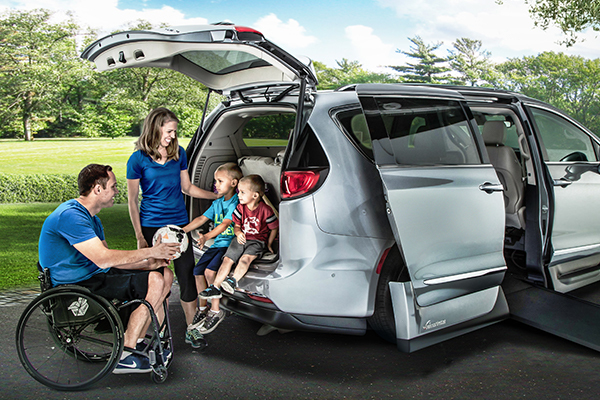 Now is the time to consider upgrading your mobility accessible vehicle, for the Chrysler Pacifica has arrived! 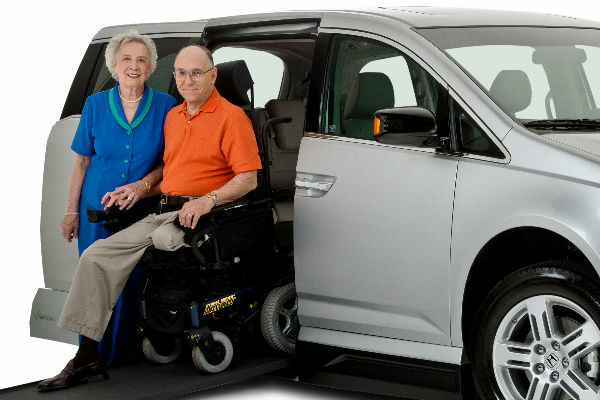 The wheelchair accessible conversion Chrysler Pacifica is the only wheelchair accessible vehicle that offers the best personal accessibility space, handling, and seating options with the automotive industry’s most technologically advanced minivan all in order to exceed the needs of drivers in wheelchairs and caregivers. 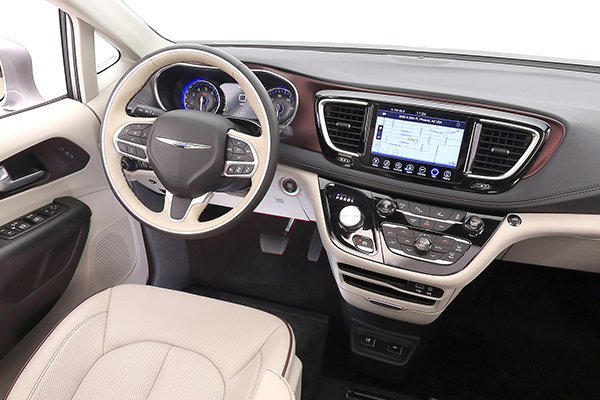 Chrysler, the original creator of the minivan vehicle category, has replaced their popular Town and Country model line with the all new Pacifica model launched in 2017. 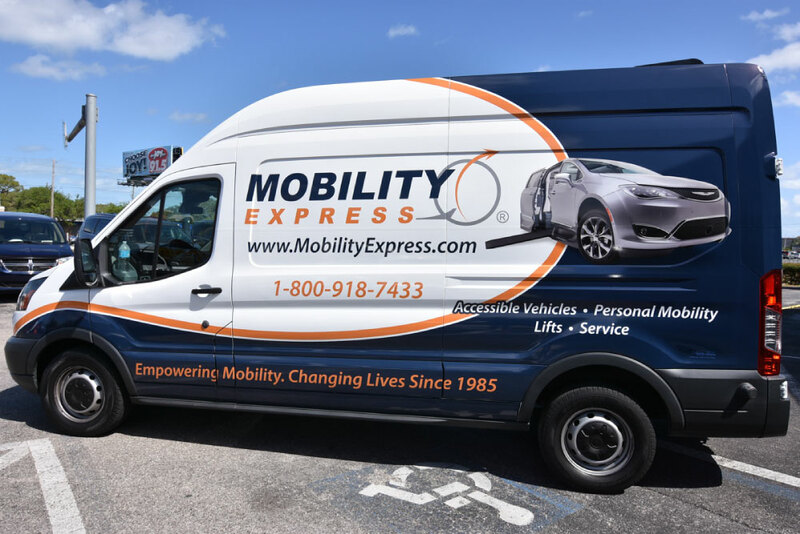 Car and Driver Magazine calls it “not just better in every respect than the models it replaces; it’s ready to slug it out against the best of the competition”. 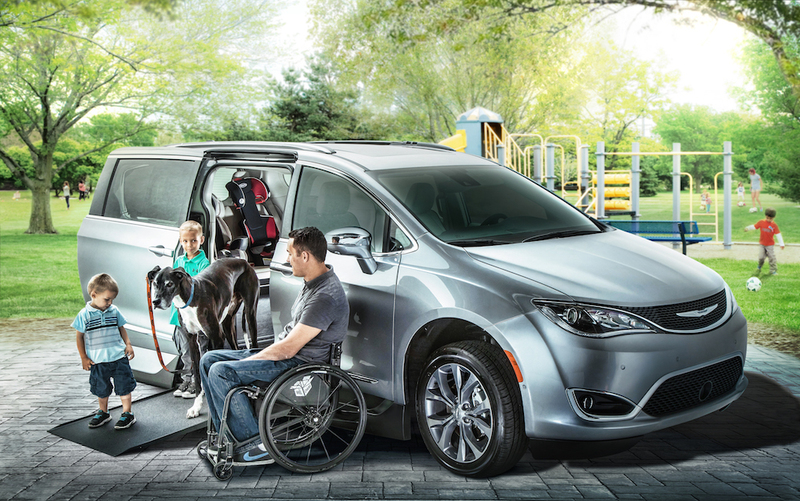 With a sporty, sleek profile the Pacifica is arguably the best-looking minivan on the market. 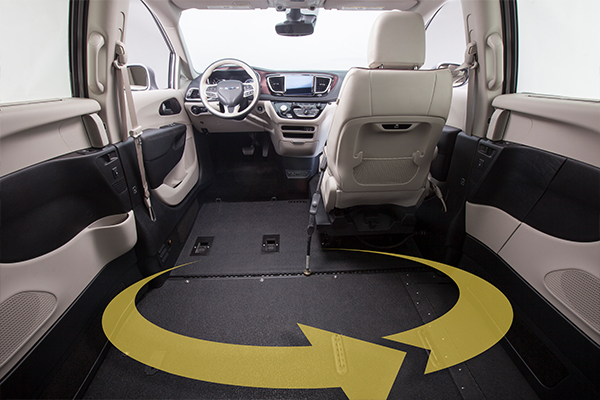 Tuned and calibrated on rural roads, thoroughfares, highways, and at validation facilities, the Pacifica is equipped to deliver the ride, feel and comfort of a premium vehicle with precision-tuned handling for more aggressive driving characteristics and precise, responsive steering. 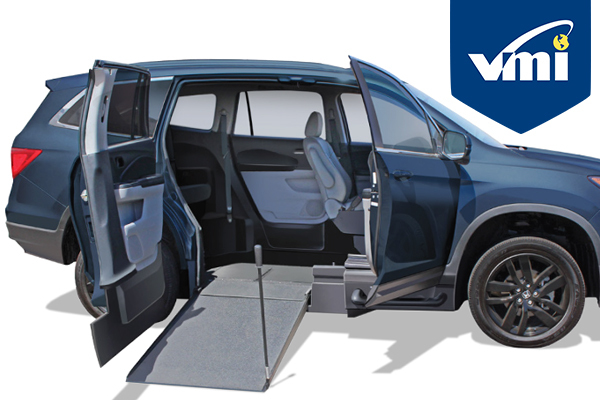 In addition, over 100 standard and available safety and security features include advanced driver assistance features which help you to park, brake in the event you need it, as well as alert you of vehicles in your blind spot. 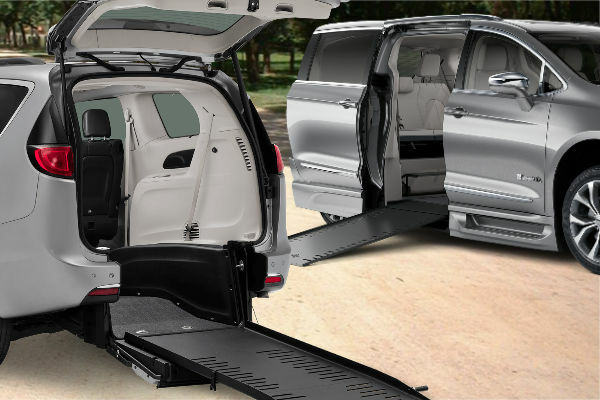 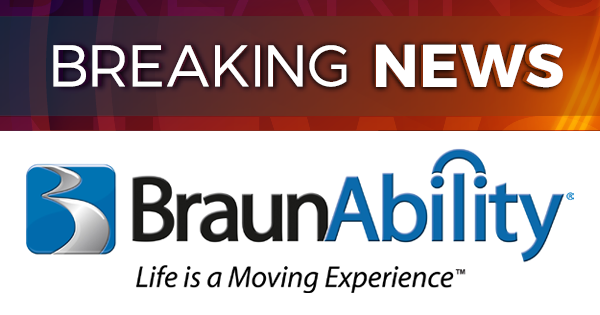 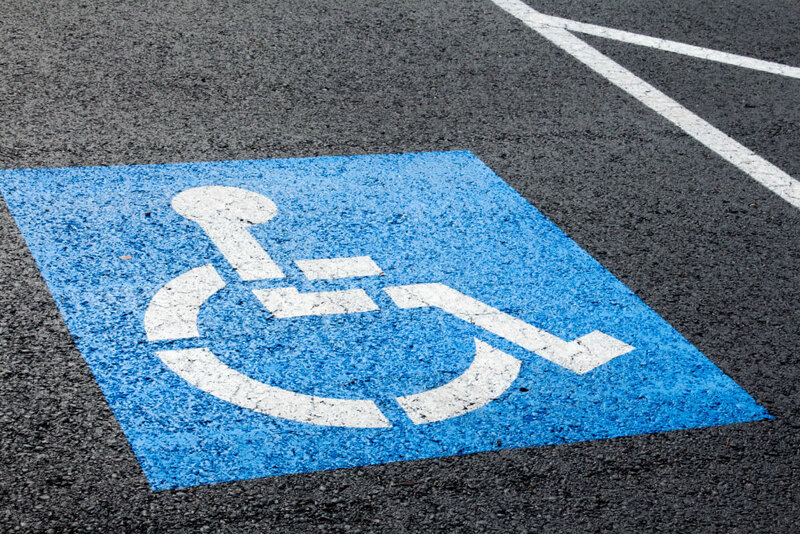 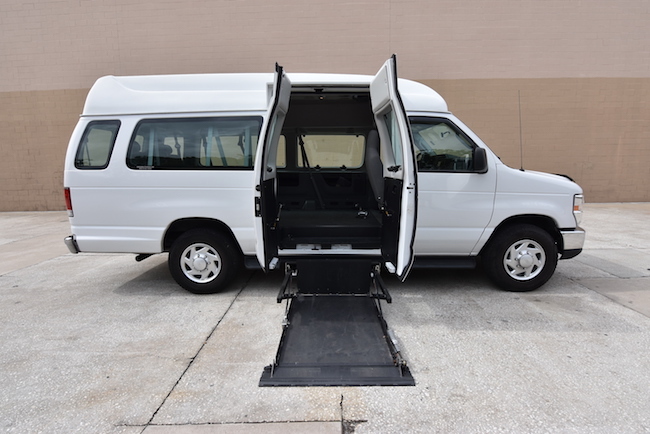 While most top brand name minivan models are convertable for wheelchair and mobility access, the Pacifica model tops them all in convenience and usability. 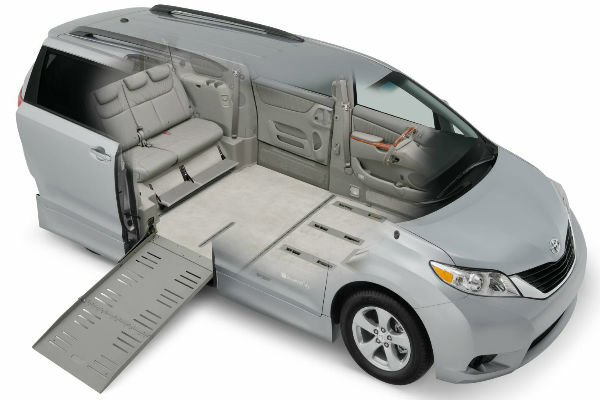 With a ramp conversion, the new minivan comfortably seats three passengers in the back, up to six passengers in all. 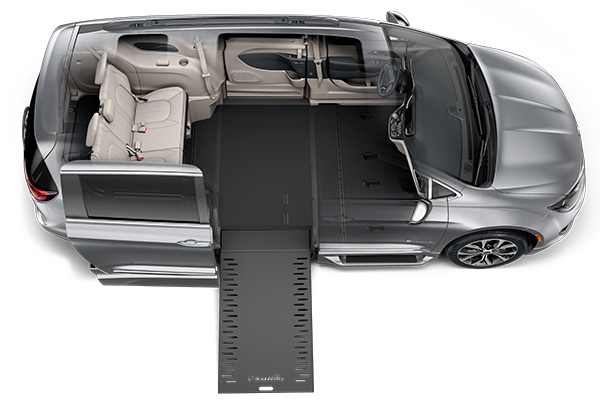 In addition, the Pacifica offers the largest door space of any mobility vehicle, both in width and height, leading to the most spacious cabin interior offered of any vehicle in its class. 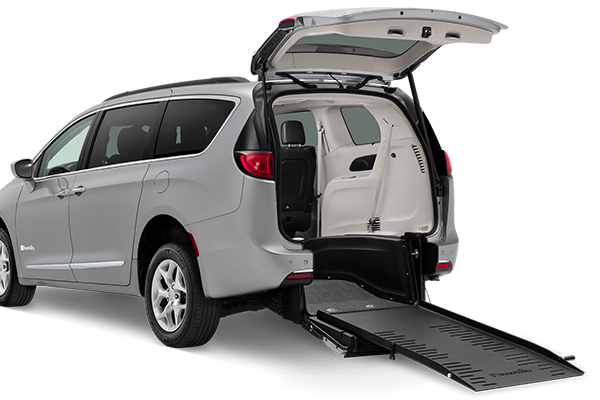 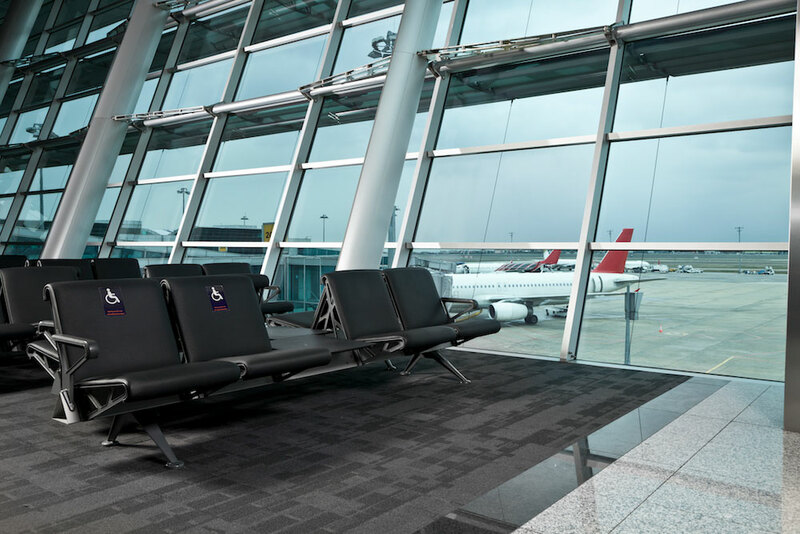 In fact, the new Pacifica model is so spacious and well designed, mobility owners can select from a range of available conversions including rear entry ramps, in-floor side entry ramps, or folding side ramps. 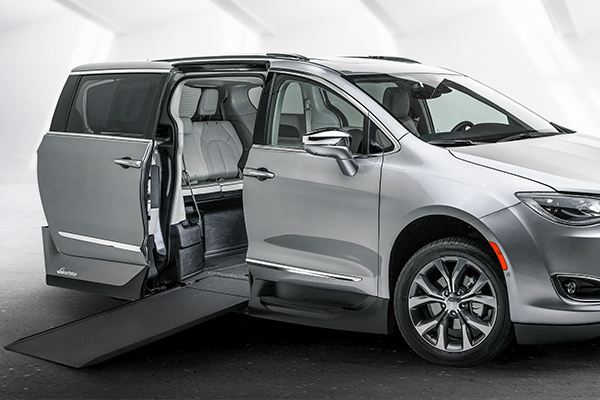 The Chrysler Pacifica minivan is available in four Trim Levels; the Touring, Touring L, Touring L Plus and the top of the line luxury Limited. 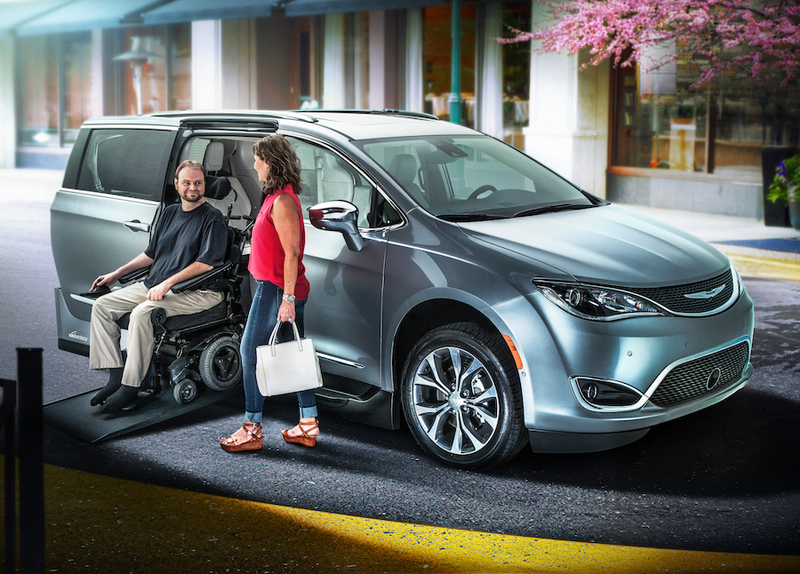 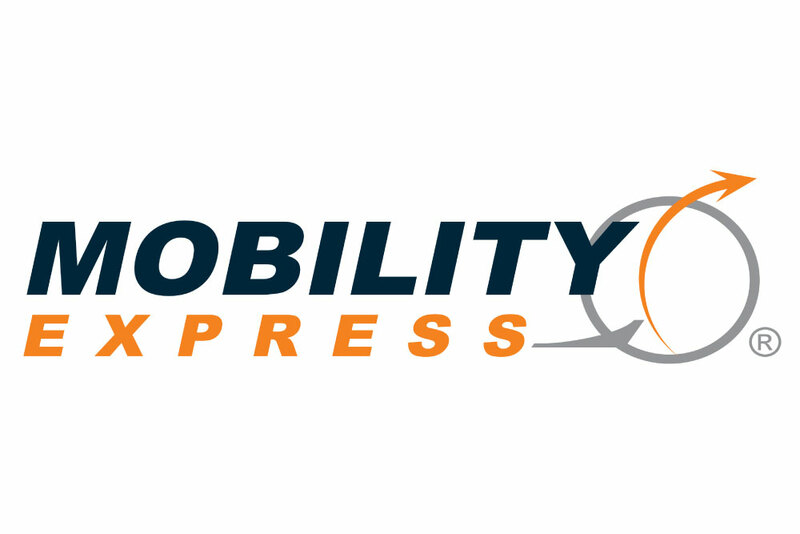 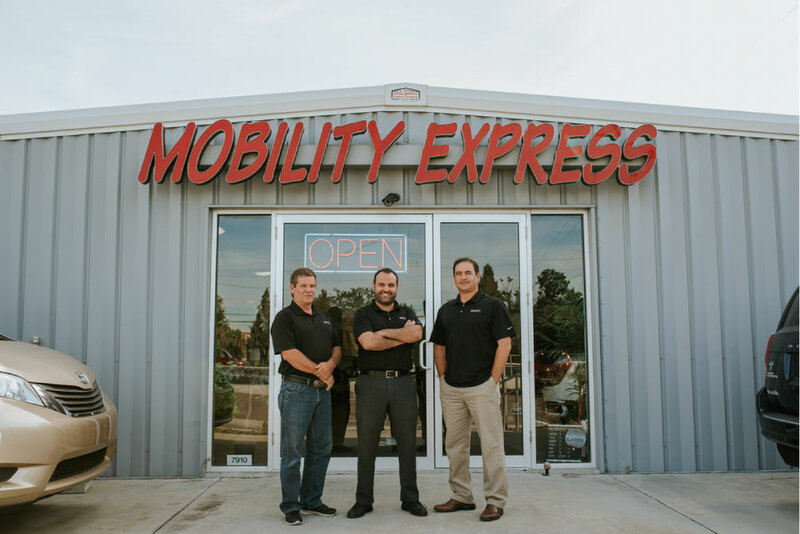 Mobility Express offers a variety of 2017 Chrysler Pacifica accessible vehicle models available now. 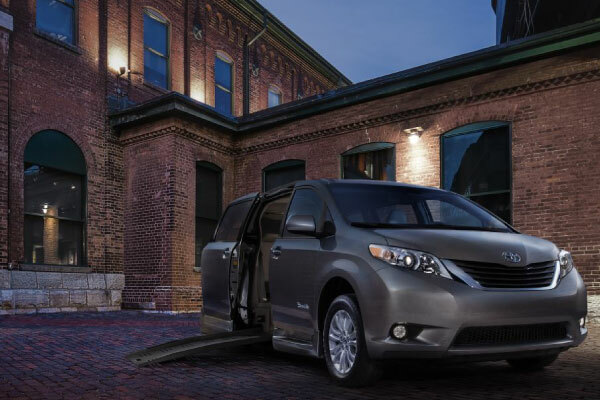 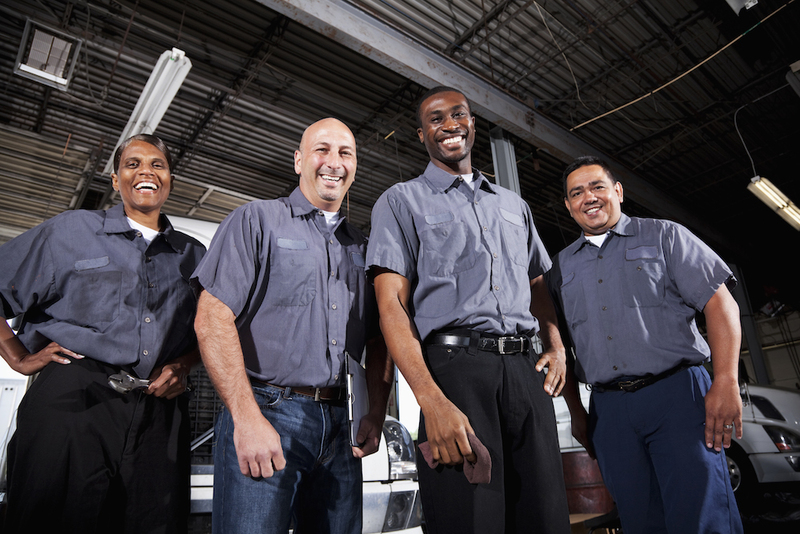 Click here to view in stock Pacifica models and call (800) 918-7433 for a test drive today.